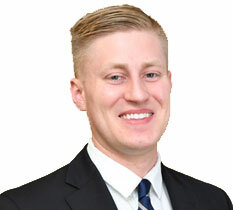 John S. Wolfe is an associate with Barrow & Grimm, P.C. representing clients in the areas of tax, estate planning, and business transactions. Mr. Wolfe graduated from the University of Colorado at Denver where he received his Bachelor of Arts in Political Science and went on to earn his Juris Doctor from the University of Oklahoma College of Law where he served as a Note Editor on the American Indian Law Review. Mr. Wolfe then received a Master of Laws in Taxation from Northwestern Pritzker School of Law in Chicago, Illinois. Prior to joining the firm Mr. Wolfe worked as a tax consultant in the areas of state and local tax and mergers & acquisitions in the McLean, Virginia office of PricewaterhouseCoopers LLP.